Fall is such a fun time of the year. I don't know about you but we have parties and bon fires to go to just about every weekend. This of course includes making halloween recipes, buying Hershey's Candy, creating new fall recipes and more! Disclose: This post is SPONSORED by Global Influence with PRODUCT provided by Hershey’s. One of our favorite events that leads up to Halloween Trick or Treating is our annual Trunk or Treat Party. 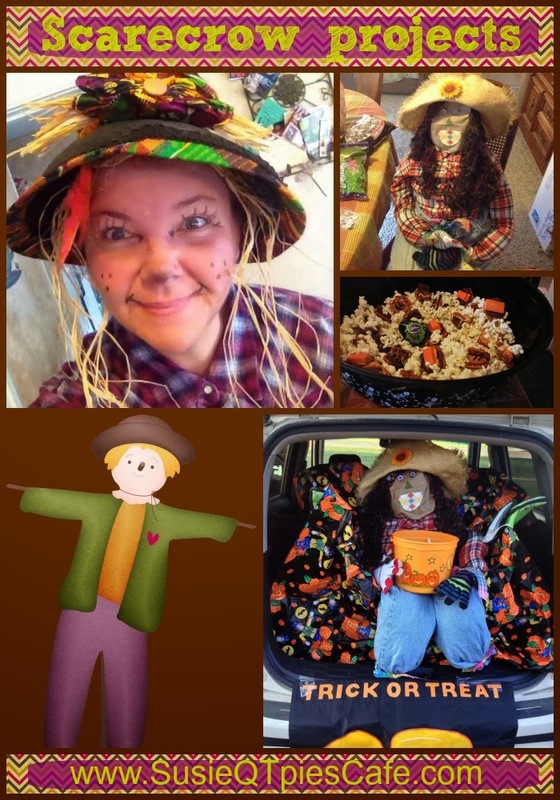 This year I celebrated with making a scarecrow and turning myself into a scarecrow. How do you celebrate Fall and Halloween? What is your favorite candy and recipes which you share with family and friends? 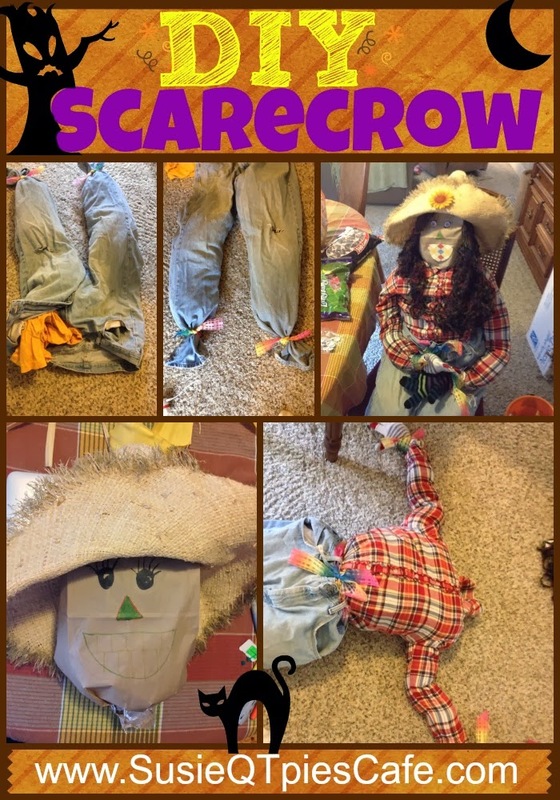 I had a lot of fun making our scarecrow. This year I made it with everything I had inside the house. 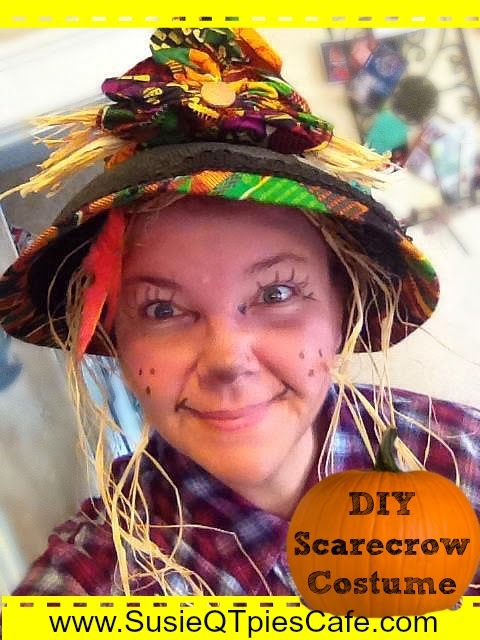 I wanted it to be an indoor scarecrow so I didn't use hay to stuff it. The project took me under 30 minutes to make. 1-Stuff jeans, flannel shirt, head and gloves with old fabric, shirts, sheets,etc. 2-Tie off the ends with ribbon. Make a belt with ribbon, too. 4-Make the face on the lunch sack head. Attach to the scarecrow. Add yarn hair and hat. 5- That easy! We had to take this to the trunk or treat and did so in parts and put it together at the event. We then easily took it apart and brought it home to set up on our porch. Such an easy recipe. We make these bites and toss into a large bowl of popcorn. This is a fun snack to make and take for the Fall parties and a perfect way to use up extra candy after Trick or Treating! 1-Lay out square pretzels on a baking sheet. 3-Add bite sized pieces of candy onto the pretzels. 4-Bake for 3 minutes in the oven. 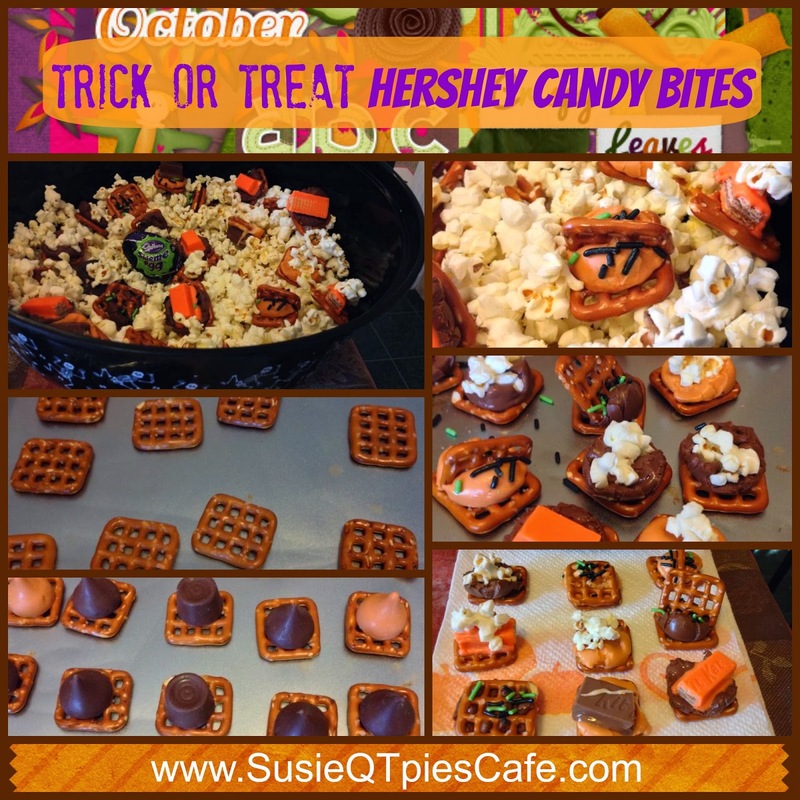 5- Take out and immediately top each piece with popcorn, pretzels, candy and sprinkles. 6- Once hard, serve to your guest or bag up and give as gifts. We add our to a huge bowl of popcorn. 1-Make hair with the raffia. I just used bobby pins to pin to my hair. 2-Add eye lashes, mouth and dots on face. 3-Dress up with the country clothes. 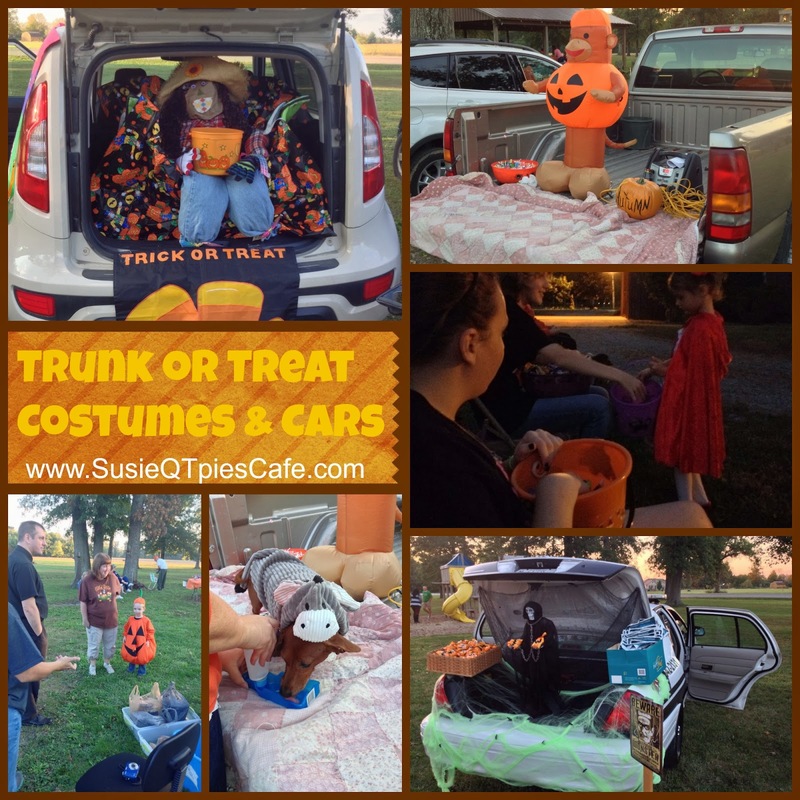 Here are some of the cars and costumes from our Trunk or Treat. We even had dogs dressed in costume!